Labels: DSi LL, DSi News, Limited Edition, Super Mario Bros.
As part of the 25th Anniversary of Super Mario Bros., Nintendo recently announced that several limited edition DSi and DSi LL's will be available soon. 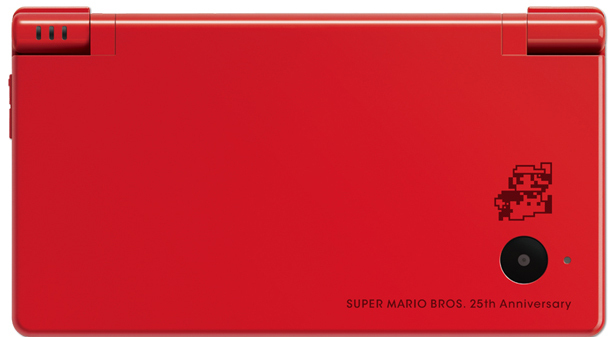 These DSi's will feature unique Super Mario designs and will come in eye-popping red. The DSi LL will be available in Japan on Oct. 28 for around 18,000 yen ($215) while the DSi pictured above will set you back 14,800 yen ($177).